ASKO kitchen appliances stand out from the crowd, and further investigation uncovers smart oven capabilities. ASKO appliances have evolved to reciprocate with the user by tailored step cooking procedures, archival storage of favourite recipes, multifunctional settings and a whole lot more. Cooking in the home kitchen will never be the same after exploring the functions and cooking programs of the OCS8478G Elements Combi Pure Steam Oven. The introduction of steam bridges the gap between commercial and domestic appliances, while the comprehensive oven capabilities place all major cuisines and cooking styles within easy reach. Steam has long been used in restaurants and bakeries to produce perfect toppings and crusts. 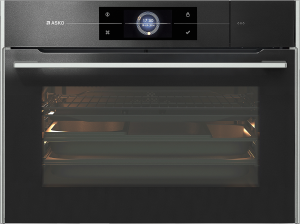 The secret is out, and the ASKO oven range proudly boasts some of the most progressive steam ovens available. The ASKO Pure Steam Oven is an extremely competent performer for any size kitchen, and can be coupled with other ASKO ovens, cooktops and microwaves for additional culinary output. Modern kitchens are again becoming expansive places designed for entertaining, and the ASKO OCS8478G Elements Combi Pure Steam Oven is ready to get the party started. Revitalise food: With so much waste in the world, it’s no wonder we feel guilty when throwing perfectly good leftovers away. The alternative to throwing leftovers from Tupperware to trash is steam; the healthy way to restore lost moisture and revitalise food. Creating healthy habits:Healthy lifestyle choices are beneficial, fashionable and worth aspiring for. The maxim, ‘You are what you eat’ always rings true, yet the rapid health improvements associated with steamed food remain a newfound thrill for converts. With steam cooking, more nutrients, vitamins and minerals are retained to nourish bodily systems and help re-establish a healthy, glowing complexion. Crisp, nutrient rich meals:Modern eating preferences are leaning toward crisp, steamed vegetables as opposed to oily, drenched foods. A balanced diet is important, and should always include nutritious, juicy and sweet vegetables, many of which are surprisingly good at replacing sugar, even in the diets of reluctant youngsters. ASKO are multi-functional innovators, combining the best available technologies to create state-of-the-art ovens that open up an entirely new range of cooking possibilities. ASKO ovens are consistently showcased in the best contemporary kitchens, and the word is spreading fast. 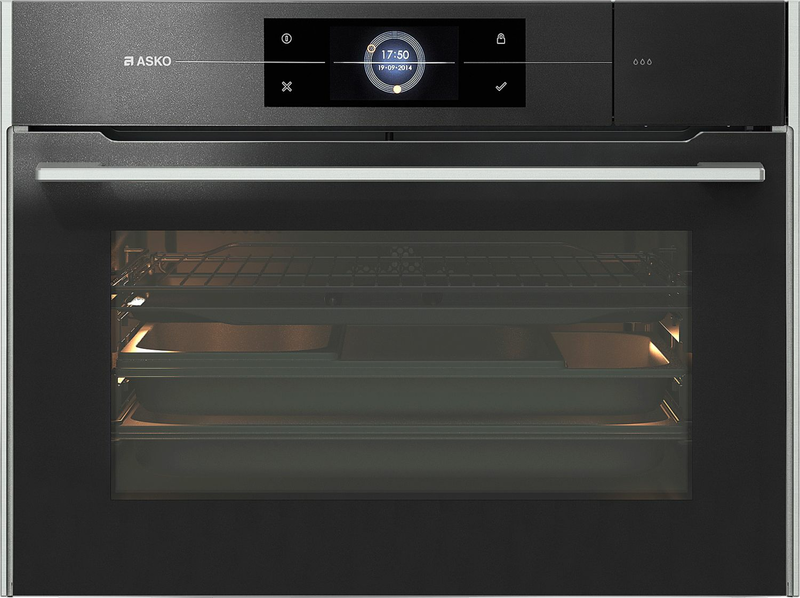 The ASKO OCS8478G Combi Steam oven is a popular addition to the products range, where personalising oven choices is an ASKO ambition that can’t be emulated by the competition. For decades, ASKO has focused on creating outstanding kitchen and laundry appliances that invite users to experience a new level of convenience. ASKO combines the best modern technology with traditional cooking principles to deliver appliances that satisfy the needs of every progressive generation. ASKO remains committed to environmental sustainability, recyclable oven components, and the opportunity to explore maximum oven potential.